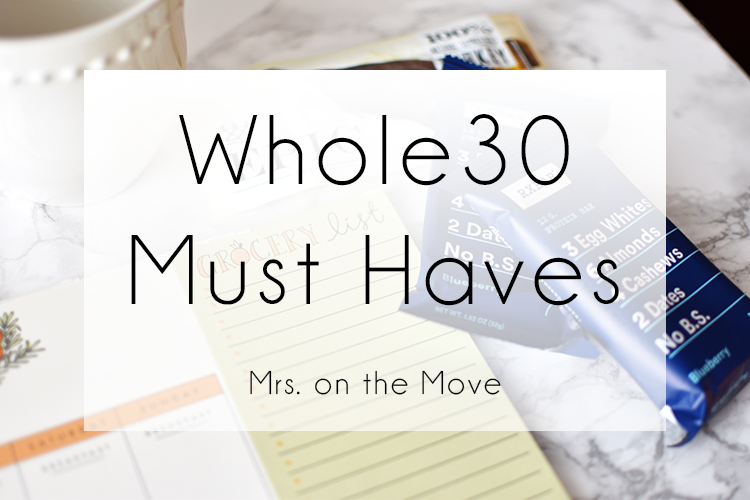 For the month of January, Kyle and I challenged ourselves to complete Whole 30! This was Kyle's first round and my second, and I cannot say enough how much easier it was having a partner this time around. Because I was cooking for more than just myself and someone who is a little bit pickier when it comes to what they're eating, I found new recipes, ingredients and products. I honestly don't know how I survived my first round without some of these things, so I thought I would share with y'all my list of ultimate Whole 30 must haves! I'm going to break down my list by what store I buy each particular item at, but keep in mind most of these can be found at other stores or on Amazon. I formed my list based of what store has the best prices and if the item is not a particular brand, what brand tasted the best! As you can tell, Trader Joe's was my best friend during Whole 30. They have a ton of great compliant options and their staff is very friendly and always ready to answer questions. I know Trader Joe's are few and far between in some areas, but I promise it's totally worth it to make just one trip a month to stock up on pantry and freezer basics that won't spoil. If you do have one in your neighborhood, they do have really great quality meat, veggies and fruit for those of you who like to get all your shopping done at one store. While Whole Foods probably has the most options, they are also the most expensive and therefore I only ran in there when we needed one of the things I listed or if it was majorly convenient in comparison to everything else. For our staples like meat and veggies I generally stuck with one of our local grocers as they were the most cost effective options. Most of the items on this list are still staples in my fridge, pantry and freezer as we have decided to adopt a mostly paleo lifestyle. I hope this list helps you if you're thinking about completing a Whole 30 or even if you're just looking to make some healthier choices when it comes to food!